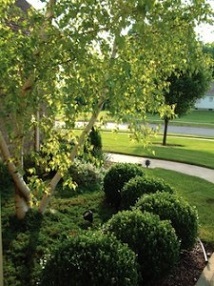 The need for an expert tree and shrub care often overlooked. However, a flourishing landscape will greatly enhance the overall health and appearance of your property while increasing its value. That’s why CHANCELLOR’S GREEN LLC, offers a range of science-based services for trees and shrubs designed to give your landscape the nutrients, protection and conditions it needs to thrive. 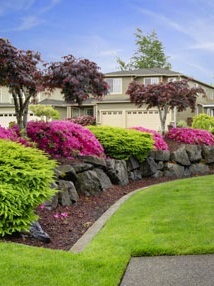 We begin your plan with a shrub and shrub assessment that helps your CHANCELLOR’S GREEN LLC, certified specialist determine the specific needs of your landscape. 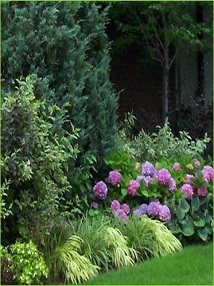 Then we create an approach adapted to give your trees and shrubs exactly what they need to blossom. Plant Health Care program for Bushes and Trees up to 15 feet tall. Early spring, liquid application of horticultural Oil to control insect’s eggs, larvae and some scales throug suffocation. T&S 2. Foliar Fertilization, Inspection. Late March – April. Visual Inspection of every tree and shrub on the property. Spring fertilization to provide all the essential nutrients for optimum plant growth. T&S 3. Inspection. Insect, mite and disease control. Late April – May. Inspection of every tree and shrub on the property. Spring insect, mite and disease control foliar spray of trees and shrubs needing treatment. This treatment includes control of mites, insects: like aphids, psyllids, japanese beetles, and scales. Diseases caused by fungus like leaf spot, powdery mildew. T&S 4. Inspection. Insect and disease control. June. Inspection of every tree and shrub on the property. Late spring liquid treatment of insecticide and fungicide to control insect and disease problems. This foliar spray controls aphids, bag worms, psyllids, and some scales. T&S 5. Inspection. Insect, Mite and disease control. July. Inspection of every tree and shrub on the property. Summer foliar spray to control mites, insects and diseases to all trees and shrubs needing treatment. T&S 6. Inspection. 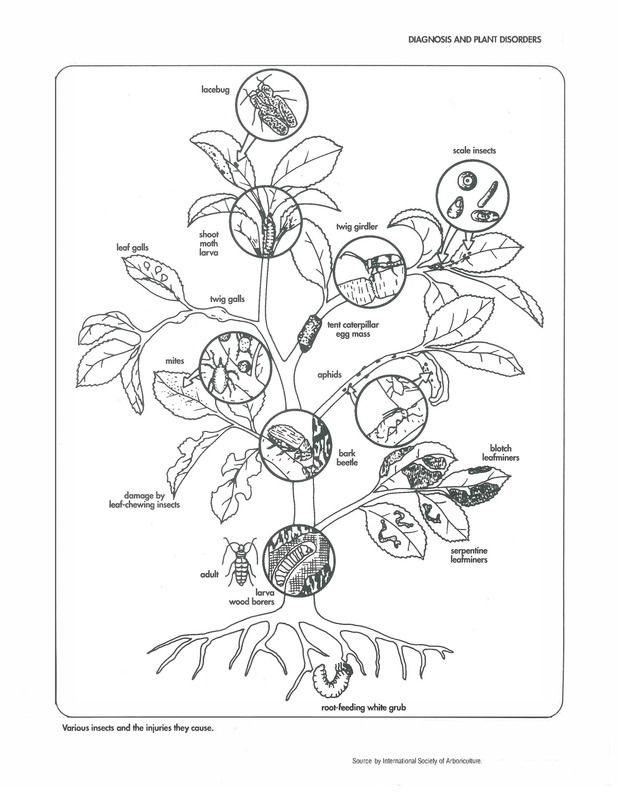 Disease, insect and mite control. August – September. Inspection of every tree and shrub on the property. Late Summer foliar treatment to control mites, insects and diseases on susceptible ornamental plants. T&S 7. Root Fertilization. November – December. Liquid Drench fertilization to provide nutrients that are lacking in an urban environment. Another benefit from the fall fertilization is that improves plant vigor reversing decline due to inset or disease damage, drought stress or cultural damage.